Denim jacket, from H&M; red top, from O-Mighty; sneakers, from Steve Madden; earring, thrifted; bottoms, from www.shein.com. All clothes and accessories from Tanya’s personal collection. A plus-size graphic designer who preaches body positivity like it’s her own religion, Tanya Bedi doesn’t like to be told what to do and she definitely doesn’t like to be told what to wear. 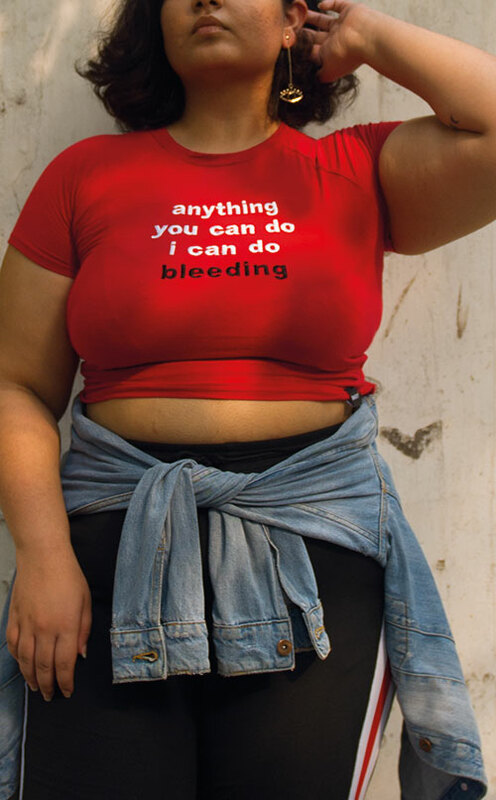 Aiming to initiate a conversation on gender equality and consent, the 23-year-old’s goal is to create a safe space for curvy women where they don’t have to dress according to their body type. Harbouring a special fondness for slogan tees with uninhibited quotes, her style strategy is to wear what she feels like and invert the gaze of people who stare at her by glaring at them till they’re uncomfortable. Solid, we say.